This is truly a great piece to get your hands on. 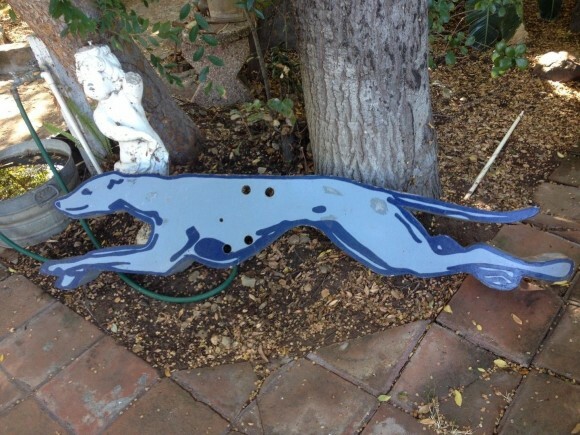 Measuring 6 feet by 16 inches, this Greyhound Logo dog neon porcelain sign is light blue and dark blue. There is no text, just the dog.